LISTED live export shipping company Wellard has sold its Western Australian feed mill and sheep feeding infrastructure for an undisclosed sum. The company said it has executed a binding term sheet with Livestock Shipping Services to purchase the feed mill at Wongan Hills and the infrastructure and leasehold for its sheep pre-export quarantine facility at Baldivis. 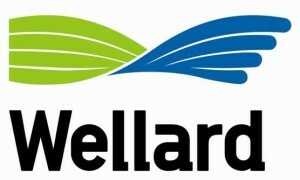 Wellard Ltd said the decision to divest the assets is consistent with Wellard’s strategy to hone its focus on its core activities – livestock vessel chartering, feeder and slaughter cattle exports to Asia and the export of breeding and dairy cattle. The company retains some exposure to the live sheep trade through its large multi-purpose sheep and cattle livestock carriers — Ocean Drover and Ocean Shearer — which are suitable to the long-haul trade. Wellard’s few sheep shipments in the past five years, meant its feed mill and sheep facilities were underutilised. The company also recently sold its Beaufort River Meats abattoir at Kojonup to International Meat Co. Pty Ltd, headed by Iranian businessman Mahmoud Parastesh. Wellard said the sheep infrastructure and abattoir sales are expected to complete in February 2018, but they are contingent on the receipt of various approvals and licence transferrals. Wellard executive chairman John Klepec said while each of the assets were quality businesses, they were not core to Wellard’s shipping and cattle business. “The sales will allow management to focus solely on the divisions that are the big drivers of Wellard’s revenue and earnings,” he said.